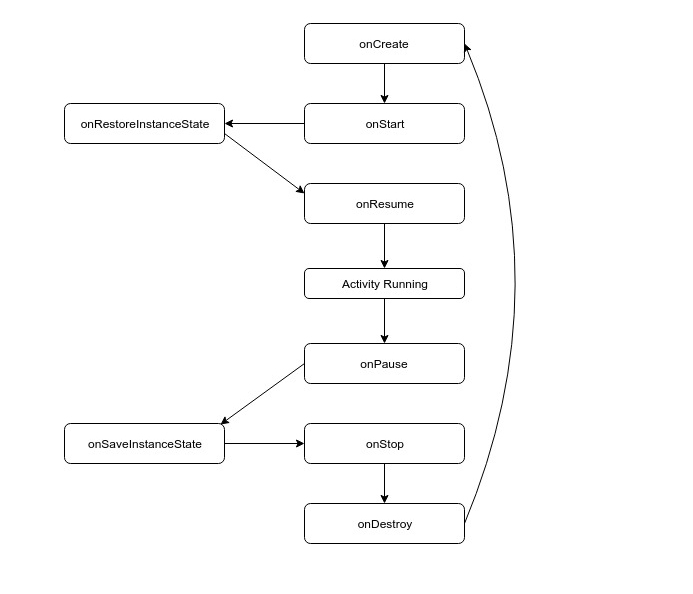 What is the behaviour of the Activity lifecycle methods? What are the methods that are executed? What are the lifecycle methods that are executed? let check it out inside the Android studio. I have inserted log. This is going to help us to know what are the methods that are executed while we rotate our screen. So let see their behavior. Log after rotate the screen. You can notice here onPause is executed. onStop is executed, onDestroy is executed. and soon after that onCreate, onStart and on Resume is again executed. Activity in the landscape mode was destroyed and soon after that the activity starts to create itself in the portrait mode. The Activity is Recreated fresh in requested orientation. Now suppose we are having some views or widgets inside our Activity. So what impact will it hold on our views and variables that are residing inside our Activity? Views that by default RETAIN their state on screen rotation. Let’s see possible solution to handle screen Orientation. Checkout solution-2 branch of Git Repository. In this method, when you switch from Portrait to Landscape, a method is called, onConfigurationChanged method. In this method, you need to write your own custom codes to update the resource inside the Activity. Question: When this method called? So after declaring this attribute inside the Manifest file. You need to override the onConfigurationChanged method inside the Activity class. Should be used ONLY when restoring Activity back is expensive and slow.